Daphnia magna is a small freshwater crustacean that is suitable for feeding various types of fish and other aquatic species. Reaching to up to 5 mm in length, Daphnia magna is one of the largest species of the order Cladocera. Smaller members of this orders are Daphnia pulex and Moina. These small crustaceans are collectively referred to as "water fleas." 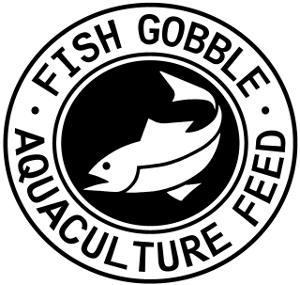 Due to their prolific nature and high nutritional value, they are widely used in aquaculture. Not only do fish love these irresistible treats, they are in fact highly beneficial for the fish as well. As a part of a balanced diet, Daphnia provide a great source of roughage for healthy digestion. In addition, the abundance of vitamin A and D especially in live Daphnia enables proper bone production for fish. Lack of it can cause stunted growth and bent spines, which are both commonly observed in fish in captivity. Routinely feeding Daphnia can improve fish’s coloration as well. The ease of culturing Daphnia magna allows a wide variety of culture methods from small bottle cultures to mass culture in large aquaria as implemented in aquaculture. A simple and relatively stable Daphnia magna culture can be achieved with a bucket set up with a source of aeration. A pH of 7-8 and a temperature of 65-75 degrees Fahrenheit is the optimum setting for Daphnia. Since Daphnia are sensitive to chlorine, all water used in Daphnia culture must be dechlorinated. Furthermore, if the water is soft, harden the water by adding limestone or crushed corals into the water. Daphnia feed on a great variety of food source including bacteria, yeast, and phytoplankton. In fact, Daphnia can survive for a limited period of time on a diet consisting of soley dissolved bakers yeast. However, for a culture intended for long term longevity and optimum nutritional value, a diet of green water should be implemented.